Click/tap here to find the best Alabama chiropractor for your needs! Dr. Porter opened Functional Chiropractic - Upper Cervical Clinic just over 2 years ago to provide the Tennessee Valley with full-spine chiropractic care, paired with his specialty in Upper Cervical chiropractic. This focus on the top two bones in the neck, the atlas and axis, is the key to alleviating discomfort throughout the body, as well as allowing the body to maximize its potential in activity, mobility, and strength. Dr. Porter's interest in chiropractic was sparked when after years of suffering from chronic allergies, headaches, acid reflux, and a developing chronic fatigue, all of Porter’s symptoms went away after receiving chiropractic care. 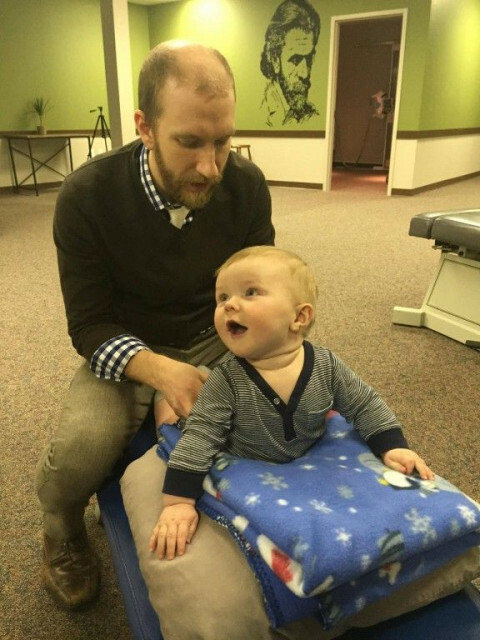 The benefits were so life-changing that Porter decided to go back to school and complete his Bachelors of Science, as well as his Doctorate in Chiropractic. Our team will care for you with just one goal in mind - to relieve your pain while returning you to an active lifestyle. Make SpineCare Chiropractic your Madison, AL or Huntsville, AL chiropractor. One of the largest group practices in north Alabama specializing in non-surgical spine conditions. We have 5 chiropractors, 1 M.D., and 2 massage therapists on staff. New office Hours are 9-12 and 2-5 on Monday, Tuesday and Thursday beginning August 1, 2010. Dr. Vance Estes and Dr. Sheila Estes have been serving the Birmingham community for over 15 years. We are participating providers with most insurance. Chiropractic Care: Alabaster, Alabama 35007. Chiropractic Care: Hueytown, Alabama 35023. Chiropractic Care: Birmingham, Alabama 35244. Credentials: (DABCI) Diplomate American Board of Chiropractic Internists. Chiropractic Care: Birmingham, Alabama 35243. Chiropractic Care: Decatur, Alabama 35601.